12th Street: Who Is Your Audience? 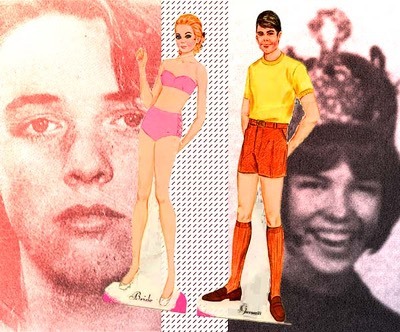 Los Angeles Times, my version: "The Two Types of Assholes"
And why it's ok to play with Manson Family Paper Dolls. I have not been good. I have stumbled into this life with the blessing of God, and rolled through 100,000 years of all the disappointments of my millions of mothers and fathers. I have lived as a cruel, selfish killer among my brothers and sisters. I have hurt those I love and been hurt by them. I have sought the destruction of strangers as casually as I glance to the sky, and have found that even the saints are devils, that cognizance itself is contradiction, hypocrisy, and that we are all liars, all the time. And I have learned, of course, that this isn’t the whole truth.